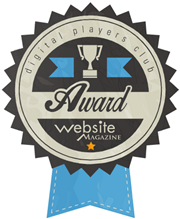 Boston, MA - March 2, 2016 -- Digital Performance software company, Dynatrace, today announced that Website Magazinehas named it a 2016 Digital Power Player in the “Performance” category. This recognition further validates Dynatrace’s unrelenting focus on digital performance and its commitment to helping businesses achieve digital success. To read more about the 2016 Digital Power Players, click here. Website Magazine recognizes Digital Power Players as companies that accelerate business success through product innovation, client education, reliable service and easy-to-use features that help organizations create, power, optimize and analyze their digital presence. Dynatrace solutions set the pace in digital performance management, making real-time contextual information about digital performance visible and actionable for everyone across business and IT. The company has a track record of delivering innovative, industry-leading digital performance capabilities to its customers. Through on-premises and cloud-based deployments, Dynatrace fully supports organizations of every size and every stage of digitization, assuring superior customer experiences.